The Warhawk Air Museum in Nampa displays love letters every year for Valentine's Day. NAMPA — "In some cases there's four pages of telling his wife what to do if he didn't come home," said Louis Bauman, Warhawk Air Museum. Bauman has been with the Warhawk Air Museum for more than 15 years. He likes to give special attention to a particular display, one with letters from service men to their loved ones. "It was on paper, it was in cursive which is interesting because in many cases the young people can't read cursive, but that's part of history. There's private logs out there, diary excerpts. What they were feeling just before d-day." Bauman says the museum is not just about the memorabilia but telling people's stories. "One of the aspects about people is the wartime or the military brides and the relationships that they had in some of the most terrible times, coming home. It's just been a wonderful experience to what these people have been through." Curt Bowers volunteered for the draft and was sent to Germany where he met Doris, the daughter of an American soldier in 1953 while attending chapel. "With candlelight and her baby blue eyes lit up with the candlelight, this young lady is older and more beautiful than I envisioned so we started courting and long story short and I left Germany and I was called to preach so I went to college," said Bowers. Doris was supposed to go to Duke University, but decided to join Curt at Asbury University. "All these seniors were looking at this lovely freshman coming in to college and I said you know I better put a ring on her pretty quick because guys are all after her and so I put the ring on her and we got married that next summer then." 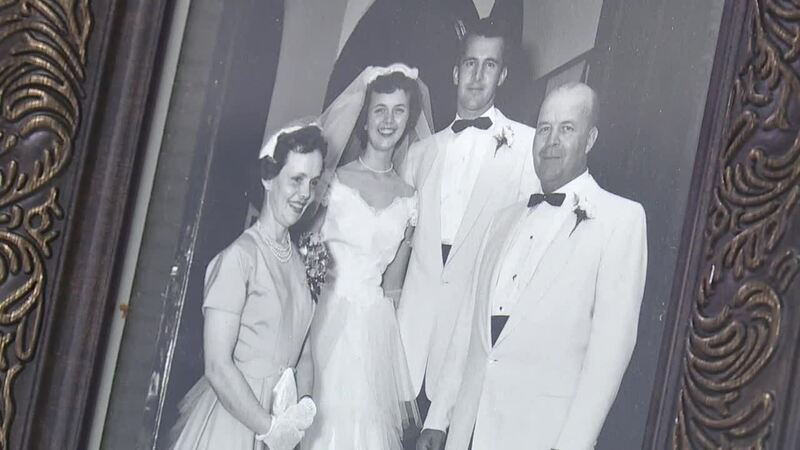 Now they've been married for almost 63 years. "And I found the greatest thing in the world too and still cherish that and our marriage, the ups and downs, but forgiveness and humor goes a long way in our marriage and our love for each other."